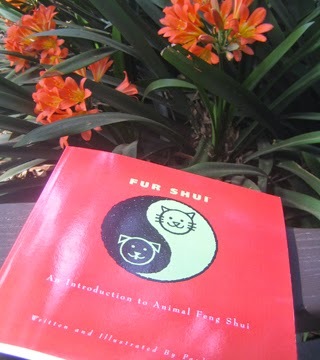 Fur Shui found itself at home at the Descanso Gardens, La Canada Flintridge, CA. So many beautiful paths to meander down and enjoy nature. From mature tree groves to flowering bowers and soothing ponds to rest beside. Mother nature, earth, at its best! Earth is the element of the Health gua in Black Hat Feng Shui. Put some items created from earth as well as earth tones in the center of your spaces...that is the location of the health gua. This will help you realize, feel, and create healthy balance and well being. It is there right in the center of your home!